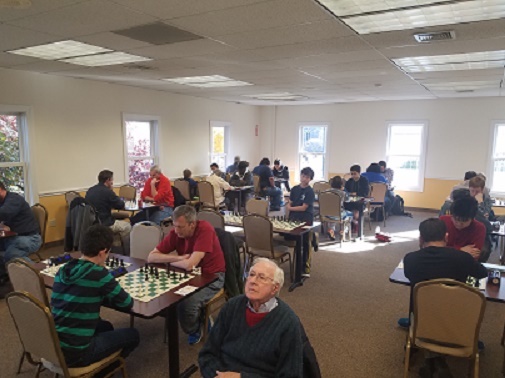 The Fairfield County Open has been a mainstay of Connecticut chess for ten years, since even before the Chess Club of Fairfield County existed. This year's edition was as exciting as ever. 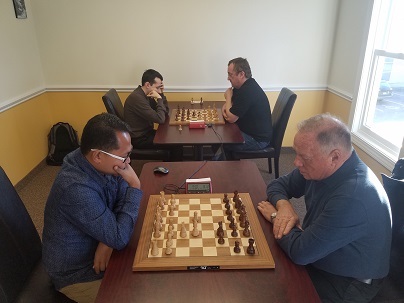 Grandmasters Aleksandr Lenderman, Mark Paragua and Michael Rohde were to top seeds, followed by a large pack of masters and experts. 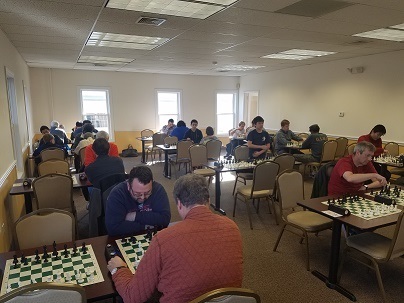 37 players in total came out to participate. 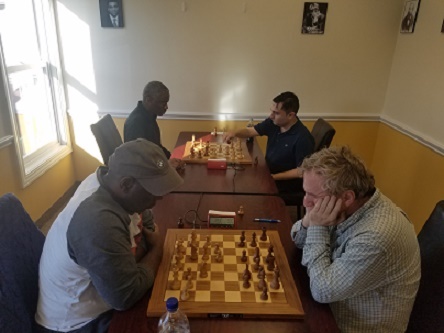 While Grandmasters Lenderman and Paragua did not dissappoint and took 1st and 2nd places respectively, there were several unexpected and impressive performances. FM Rico Salimbagat took clear 3rd place with 6.5/9. Despite qualifying for the U2200 prize, Mikhail Koganov tied for the U2400 ahead of a plethora of strong masters. This U2400/U2200 prize was shared with Koganov by NM Ernest Colding. Remarkably Colding was able to score an impressive 6/9 despite showing up late, missing round 1, and being forced to take 0 points for that round. The other winners of the day were Herman Waxter, who took home $200 for finishing top among players U2000. Although being rated just 1557, Leo Koganov had an impressive performance to win the U1800 prize outright. Aurelius Mlynar, John Twombley, and Justin Paul split the prize for the top players U1600. Congratulations to all the winners and thank you to all the partcipants. We hope to see you all again soon!